Fact: Self-tanning can be tricky. Tanning beds have harmful rays, and spray tans rub off on clothes and sheets. For an easy, subtle glow all year long, French skincare expert Guinot is introducing a gradual self-tanning lotion that leaves skin smooth and rejuvenated. The light, non-sticky lotion creates a luminous, golden hue while deeply moisturizing and softening. As it’s such a powerful moisturizer, one can simply swap Hydrabronze into his or her daily moisturizing regimen for soft, glowing, and naturally tan-looking skin. After 3 days: Hydrating effects begin to leave skin smooth as tone begins to darken. After 7 days: Skin is nourished and users will notice a darker complexion. After 15 days: Users notice a 53 percent increase of average hydration of the skin and reach peak color. Instructions for use: Apply evenly to the face and body, avoiding the eyebrows, hair roots, and rough areas, two or three times a week. Wash hands thoroughly before and after. While sea turtles have been swimming the Earth’s oceans for more than 100 million years – pre-dating even dinosaurs – all seven species of sea turtles are threatened or endangered today. Nesting season begins this month, making conservation programs topical while hotels and resorts from the Caribbean to the Middle East draw travelers to witness the delicate nesting and hatchling rituals. Those visiting GoldenEye in September for five days or more are guaranteed sea-turtle sightings at neighboring Golden Sea Beach. For a $10 donation, guests of any age have the rare opportunity to observe turtles nesting and hatching in their natural habitat while being educated by a local sea-turtle expert known as the “turtle whisperer.” More than 13,450 sea turtles hatched on Golden Sea Beach in 2012—an incredible 3,745% increase in hatchings over the launching of the program in 2005. Guests at One&Only Palmilla between July and October have a chance to participate in the baby sea turtle release. Each summer, sea turtles return to One&Only Palmilla’s aptly-named Turtle Beach to lay their eggs, and 45 days later, the baby turtles break free from their shells. “Young biologists” have the opportunity to learn about the turtles and their yearly return to Los Cabos, name the turtles, and receive a certificate acknowledging their sea-turtle release participation. Park Hyatt Abu Dhabi seeks to peacefully co-exist with the Hawksbill turtles that find their way to the hotel’s beach every season. The hotel installed an elevated boardwalk to transport guests to the beach and clearly marked nesting spots to ensure the nests remain undisturbed. The turtles are monitored continuously in a joint program by the Tourism Development and Investment Company and the Environmental Agency in Abu Dhabi, and guests may donate to these organizations to support the Hawksbill turtles. On the private island off the coast of Zanzibar, Green Turtle nesting season is year-round, peaking in February and March. The turtles lay their eggs on the island’s beach, and in September and October, baby turtles immerge. With only 10 thatched roof bandas on the island, guests can watch the tiny hatchlings make their way down to the water without a crowd for an incredible experience. 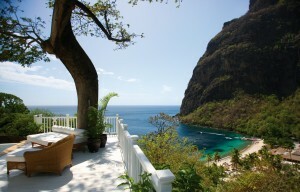 Sugar Beach, a Viceroy Resort has been named to Travel + Leisure’s eighth annual ‘It List’ for 2013. To come up with the list, Travel + Leisure editors travel the globe to find the most innovative new and renovated hotels, and showcase the top 50 the industry has to offer. Sugar Beach will appear in the June issue of the magazine as well as online. 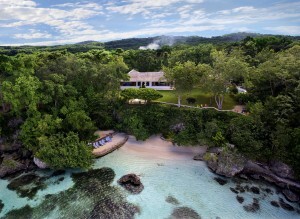 After completing a three-year, $100 million transformation from the Jalousie Plantation to Sugar Beach, a Viceroy Resort at the end of 2012, the resort has seen the construction of 59 new luxury villas, the Bayside Restaurant, the Cane Bar, eight Luxury Beachfront Bungalows, renovations to the Palm Court, and 11 Luxury Sugar Mill Rooms. The recently re-opened Rainforest Spa features a range of international luxury product lines and locally inspired signature treatments, seven tree house treatment cabanas, and a temascal heat experience. Rates start at $350 per night from June 1-October 14 and include personalized butler service. All rates are subject to 8% government tax and 10% service charge.